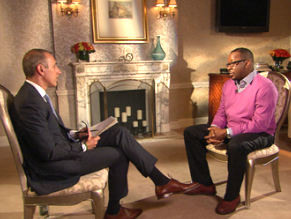 Bobby Brown has given his first interview since Whitney Houston’s death, sitting down with Matt Lauer of the “Today Show” for a conversation set to air on Wednesday and Thursday. Lauer asks Houston’s ex about the fact that everyone says the late singer’s life took a dramatic turn for the worse after meeting him. “It makes me feel terrible,” says Brown, but he rejects that interpretation. When Lauer presses Brown on whether it’s fair he got the “blame” for Houston’s drug use and eventual death, Brown takes a stand, insisting that he had not been the one to introduce Houston to narcotics.